Although you can find some of these definitions in the Tealium documentation, this has compressed the terms and explanations that we found most useful when we were new to the platform. This blog will also help you begin to differentiate between other Tealium products. For those who are looking for additional training but have not yet purchased IQ it is worth mentioning that we were able to become proficient in Tealium through becoming a partner. This gives you access to free - and otherwise, pricey - training resources. In turn, Tealium broaden their network and reach. 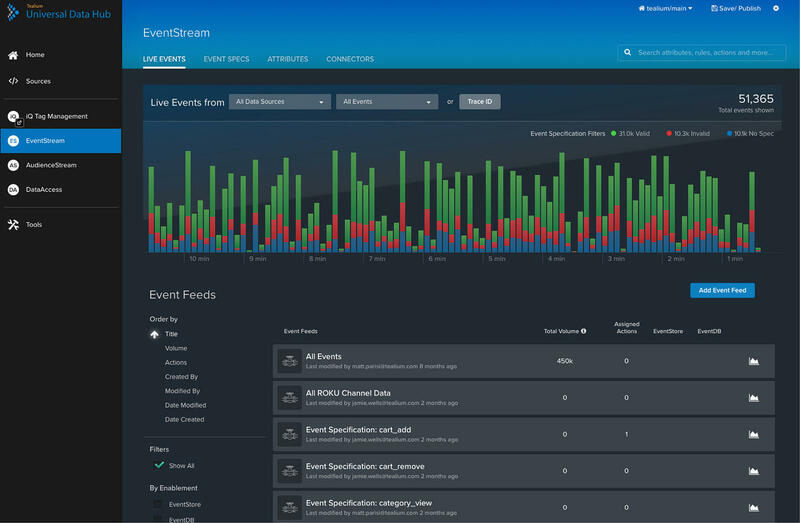 Eventstream deals with API calls (collection and delivery) and IQ deals with event management (and not collection and delivery). It is used in partnership with IQ; sending data from EventStream back to IQ is considered ‘data enrichment’ (see below). To explore this product further, head to Tealium. AudienceStream allows you to build better audience groups by collecting a high level of information on your users before giving you the ability to essentially ‘sticky-note’ them. With this tool you can upsell, monitor and advertise while minimising how much you annoy your audience! Like IQ, you can’t store event data in AudienceStream. The user experience and real-time view are also lovely to look at. Tealium doesn’t store data, it just moves it. Everything it reads using .js is sent to your vendor (e.g. Omniture, CRM tools etc.). You can use Data Access or other analytics tools to store the data. If the tag template you’re looking for isn’t already available on Tealium, it is possible for Tealium to create a custom tag for you. Before starting your setup, submit a ticket to Tealium to request this and allow them to review and confirm whether they will do this for you as it may save you a great deal of time. Tealium is set up for desktop. Although mobile site tags are identical, you’ll need to set this up separately. Please refer to our mobile set-up guide (LINK) for more information on this. This happens twice, at browser level and at CDN level. How long until the user itself sees the change. Tags loads in parallel so as not to slow page load, you can make specific tags synchronous as you like. An example would be personalisation of the page for the user. This is highly unusual and Tealium manages issues with flickering. Don’t make anything synchronous that contains personal user information as this will not be picked up by the consent manager (GDPR checks). This issue is managed by Tealium. 'White Flicker' is basically a kind of 'flash/flicker' that occurs when transiting between two web pages. It occurs during web page load in IE, when one clicks on a link, or menu which triggers to get the screen reload/refresh, during this refresh/reload of the screen. In Tealium iQ, components of your data layer are known as Variables. They are the source of information for your digital marketing efforts. Anything that happens after the page load. A way to find your variable tag name for events. Set up guide here. To learn more about implementing tag management please feel free to contact us.